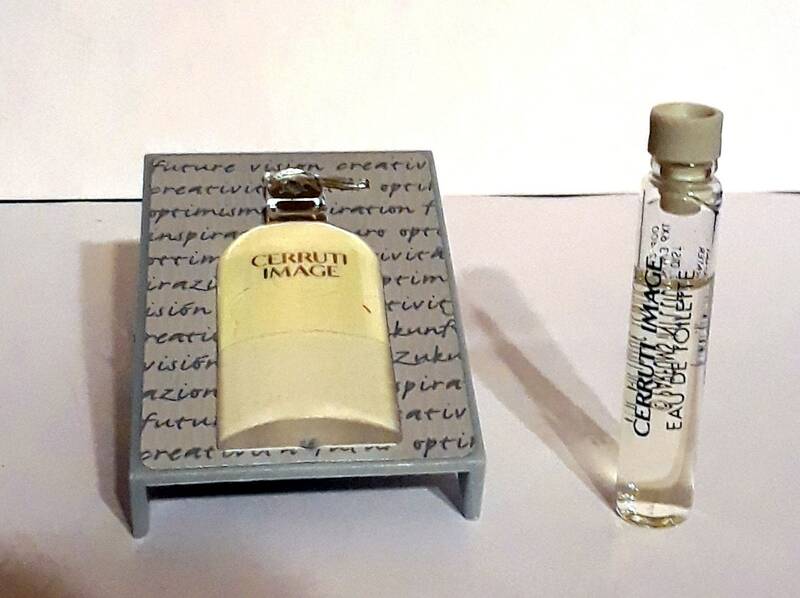 Vintage Cerruti Image Man by Cerruti 0.05 oz Eau de Toilette Splash manufacturer's Sample Vial on Plastic frame. Launched in 1998. It is classified as a green aromatic fragrance for men. Base notes: sandalwood, amber, patchouli, tahitian vetiver, musk and cedar.